As we age we continuously lose collagen. Between the age of 20 and 40 the skin’s collagen diminishes by up to 50 per cent. Subsequently, what we lose in fullness we gain in wrinkles. Great, right!? Sitting between injectable and topical treatments that promise to counteract the visual effects of aging lies microneedling, the use of a handheld device that creates controlled skin injury. 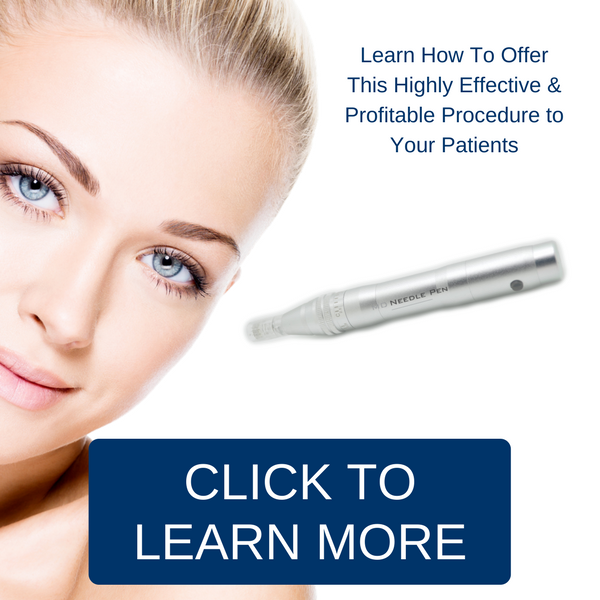 Microneedling is one of the best treatments there is for collagen stimulation. 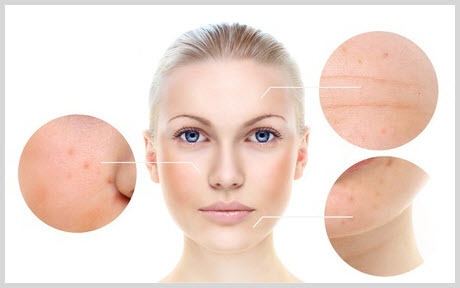 Microneedling is most likely the best treatment for skin resurfacing and the way it works is by using needles that are long enough to cause microscopic injuries to the fine blood vessels that are at the level of the hair follicles. When there is a small bit of bleeding, platelets leave the blood vessels and get exposed to the surrounding tissue. This causes a reaction whereby the platelets excrete hormones and growth factors which cause the stimulation of fibroblasts and other collagen producing cells to start increasing their production. This in turn results in more elastic and rejuvenated skin. What’s the difference between a clinic treatment and doing it at-home? Done in a salon or clinic environment we can use much longer needles (up to 3mm for the treatments of deep acne scars or deep skin resurfacing – another benefit) whereas the derma roller microneedling done at home usually has a 0.5mm long needle. 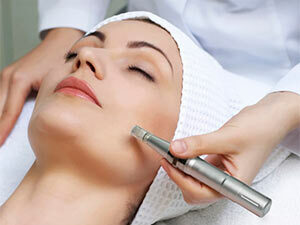 Microneedling works even better in combination with mild or moderate deep skin peels, which can be done in-clinic. What’s the best technique for doing microneedling at-home? With medium firm pressure roll vertically, horizontally, and diagonally over the whole face in sections. It should take 10 minutes to do the whole face. How does the skin look immediately afterwards? You will see a pinkness in the skin and potentially some little spots of bleeding. This is a sign that it works. How long do the effects last and how frequently should you do it? This really depends on how intense and how long the needle was. You see the full result after 90 days after the first treatment. It can be done at a skin care professional every 4 weeks. If you have a derma roller at home you can use that a couple of times a week depending on the depth of the needles. Which skincare works well with microneedling? For the aftercare we recommend an antioxidant serum, a good moisturizer and of course apply a lot of sunscreen. The antioxidants simply and SPF because it protects the skin from UV or free radical damage which will reduce the amount of collagen the skin produces. A good moisturizer keeps the skin hydrated and looking its best. MD Needle Pen, educating our practitioners and clients for beautiful skin.